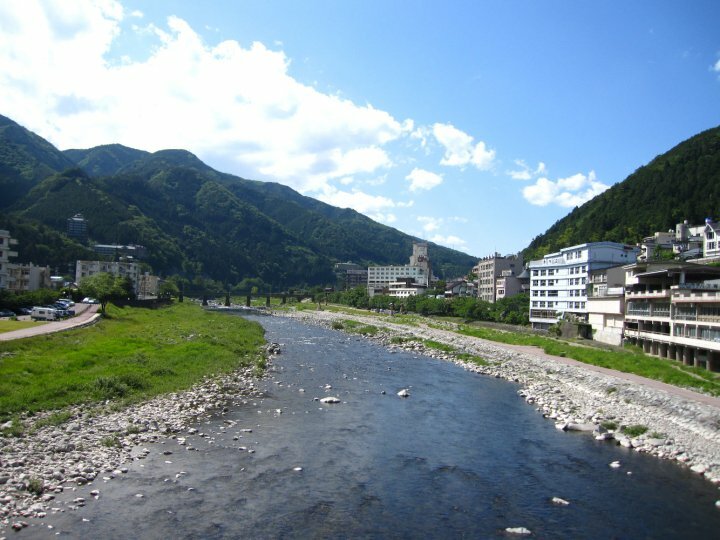 Gero is a wonderfully awesome onsen town. An onsen is a hot spring used for relaxing and bathing. Gero has a number of onsen that are built outdoors. The onsens are used a public baths and are large enough for many people. In Japan you scrub down outside the tub to keep the water clean. After you are clean you may enter the onsen. There are often different temperatures and some have features like waterfalls or cold tubs. Gero is full on natural hot springs. You can go there to enjoy a day of relaxing. On your way from the train station you cross a large bridge over the river. At the edge of the river, under the bridge is a free (co-ed) open air hot spring. On the way there we crossed on the opposite side so I was unable to see it. On the way back we crossed by it, at my insistence, and it’s a night I can never un-see. The entire hot spring was full of old men that I never needed to see bath. Luckily the bridge is tall and there were no details to be seen.